Foreign Minister Sergei Lavrov says Russia has had no involvement in the travel plans of fugitive intelligence leaker Edward Snowden. Edward Snowden’s whereabouts are unclear after he flew from Hong Kong to Moscow on Sunday. His US passport has been revoked. Sergei Lavrov insisted Edward Snowden had not crossed the border and rejected what he termed US attempts to blame Russia for his disappearance. US Secretary of State John Kerry said the US did not seek “confrontation” but Russia should hand over Edward Snowden. Correspondents say Sergei Lavrov’s comments suggest that Edward Snowden remained air-side after landing at Moscow’s Sheremetyevo airport, and so has technically never entered Russian territory. “We are in no way involved with either Mr. Snowden, his relations with US justice, nor to his movements around the world,” Sergei Lavrov said. “He chose his itinerary on his own. We learnt about it… from the media. He has not crossed the Russian border. Edward Snowden, 30, is wanted by the US for revealing to the media details of a secret government surveillance programme, which he obtained while working as a contractor for the National Security Agency (NSA). Speaking during a visit to Saudi Arabia, John Kerry said the transfer of Edward Snowden was a matter of rule of law, and that Russia should remain “calm”. Edward Snowden is charged with theft of government property, unauthorized communication of national defense information and willful communication of classified communications intelligence. He has applied for asylum in Ecuador. The US has revoked his passport. Reuters news agency quotes a Moscow airport source as saying that Edward Snowden arrived in Moscow from Hong Kong on Sunday afternoon and was due to depart for the Cuban capital, Havana, the following day, but did not use the ticket. The source said he was travelling with Sarah Harrison, a British legal researcher working for the anti-secrecy group WikiLeaks. Meanwhile, China has also described US accusations that it facilitated the departure of fugitive Edward Snowden from Hong Kong as “groundless and unacceptable”. The White House had criticized what it termed “a deliberate choice to release a fugitive despite a valid arrest warrant”. The Chinese government has expressed deep concern about Edward Snowden’s allegations that the US had hacked into networks in China. Tuesday saw the official newspaper of the Chinese Communist Party praise Edward Snowden for “tearing off Washington’s sanctimonious mask”. In a strongly worded front-page commentary, the overseas edition of the People’s Daily said: “Not only did the US authorities not give us an explanation and apology, it instead expressed dissatisfaction at the Hong Kong Special Administrative Region for handling things in accordance with law. Speaking during a visit to India, US Secretary of State John Kerry said it would be “deeply troubling” if it became clear that China had “willfully” allowed him to fly out of Hong Kong. “There would be without any question some effect and impact on the relationship and consequences,” he said. He also called on Russia to “live by the standards of the law because that’s in the interests of everybody”. Edward Snowden was in hiding in Hong Kong when his leaks were first published. He is being supported by the whistleblowing website WikiLeaks, which said on Sunday that he was heading to Ecuador accompanied by some of its diplomats and legal advisers. Ecuador is already giving political asylum at its London embassy to WikiLeaks founder Julian Assange. 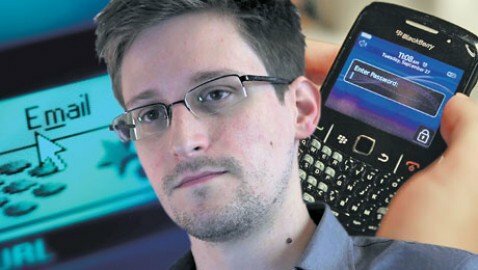 Edward Snowden’s leaks have led to revelations that the US is systematically seizing vast amounts of phone and web data under an NSA programme known as PRISM. US officials have defended the practice of gathering telephone and internet data from private users around the world. They say PRISM cannot be used to target intentionally any Americans or anyone in the US, and stress that it is supervised by judges.